Our very own Komodo CAN Duo Interface was part of an IoT demo in the Total Phase booth at the Intel Developer Forum last week in San Francisco. The demo even made it to a top 10 list (compiled by Ransom Stephens) on the EDN website! The demo consisted of two Komodo interfaces: one was used to control an activity board, and the second one was integrated into a smart network control module developed by Rick Jahnke, Director of Engineering at Galixsys Networks. 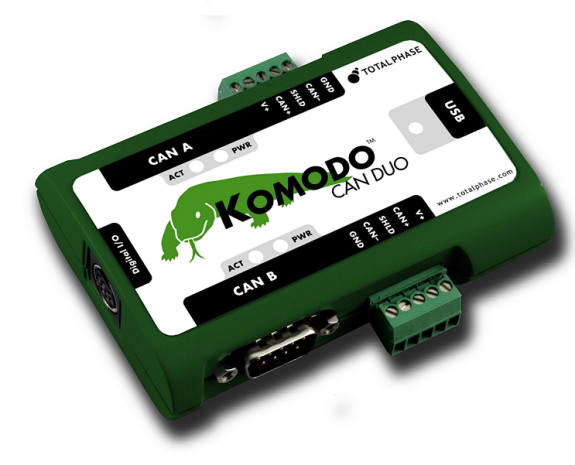 The network control module takes the CAN data sniffed by the second Komodo interface and and then translates that data into commands to be sent over wifi to a robot. The demo is a great example of how our devices can be used to retrofit existing systems and connect them to the cloud, other devices or networks, or any other digital entity. Buy one Komodo interface, get a second one for 50% off! 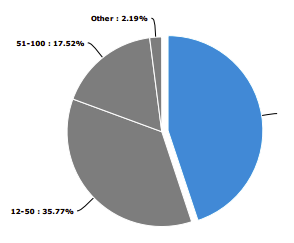 Thank you to everyone that completed our I2C/SPI survey last June! There were over 100 engineers that responded and it's great to get a better idea of your bus speeds and voltage levels. Take a look at the survey results and see how you compare to your fellow embedded engineers. Don't worry, we didn't forget about the giveaway of our upcoming device. We'll announce a winner as we get closer to the official release.